PrivacyDongle 3.5.2 is a USB drive that is installed with a special Firefox web browser. 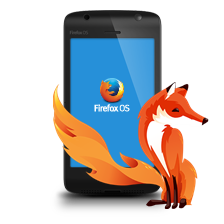 Everytime you use this Firefox browser to surf the internet, your identity will be protected. It will encrypt every single connection that you are making onto a website through the servers hosted on the Tor network. This allows you to surf anonymously without any website tracking your IP information. PrivacyDongle 3.5.2 prevents the referrer from being transmitted to third parties that want to collect this information. PrivacyDongle 3.5.2 is integrated with the Adblock Plus adblocker which can help in blocking all kinds of advertisements that appear on the web. The CS Lite is also integrated in the PrivacyDongle 3.5.2 tool. CS Lite allows you to control the cookies of your web surfing activity. There are hundreds of computers in the Tor network and these computers are located in different parts of the world. It creates a connection through 3 computers in the TOR network when you visit a website. The only downside is that webpage may load slower since you are using the encrypted connection on the Tor network. With Privacy Dongle, your web activities will not be recorded. PrivacyDongle 3.5.2 will not install any file on your computer when you surf the internet with the Firefox browser in the USB drive. It is your right to avoid getting monitored constantly during the whole time you are surfing the web. There are a lot of advertising providers that are looking to collect your data so using the PrivacyDongle 3.5.2 is a necessary step that you need to take to protect your privacy. You simply have to download the PrivacyDongle 3.5.2 software and copy it onto a USB drive and you can start browsing anonymously on the web. PrivacyDongle 3.5.2 is compatible with Windows, and Linux OS.